Drift off to sleep with the sound of waves washing against the shore, then wake up to beautiful views of miles of golden sand. 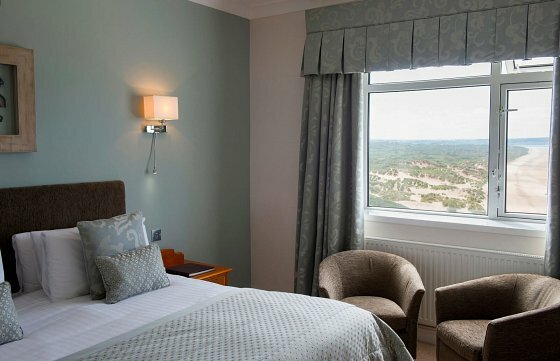 The sea facing rooms have a standard double bed and the additional luxuries expected at a four star hotel, include a fridge and a gown and slippers. These rooms are perfect for a weekend getaway for two, just tell us at the time of booking whether you want your sea facing room laid out as a double or twin.